Talks held on Monday morning between key figures in the U.S. and Brazilian government made it clear that in today’s meeting between Donald Trump and Jair Bolsonaro in Washington, discussions will be centered around two countries: Venezuela and China. The former concerns Donald Trump’s desire to make Brazil a more proactive ally in the U.S.’s quest to oust Venezuelan president Nicolás Maduro. While aware that Brazil’s Armed Forces are staunchly opposed to military intervention, there is hope from the American side that Jair Bolsonaro’s administration could play the role of negotiator in talks to force new elections in Venezuela. 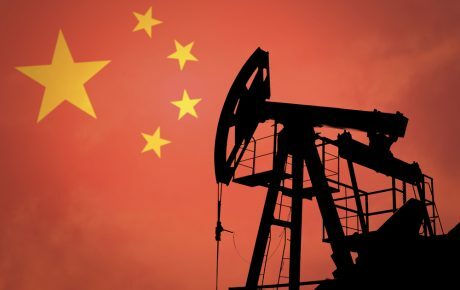 The China question, however, is far more nebulous and uncertain. Mr. Bolsonaro is in Washington to improve relations between Brazil and the U.S., the two largest countries in the Americas which have rarely had more than timid and amicable ties to one another. 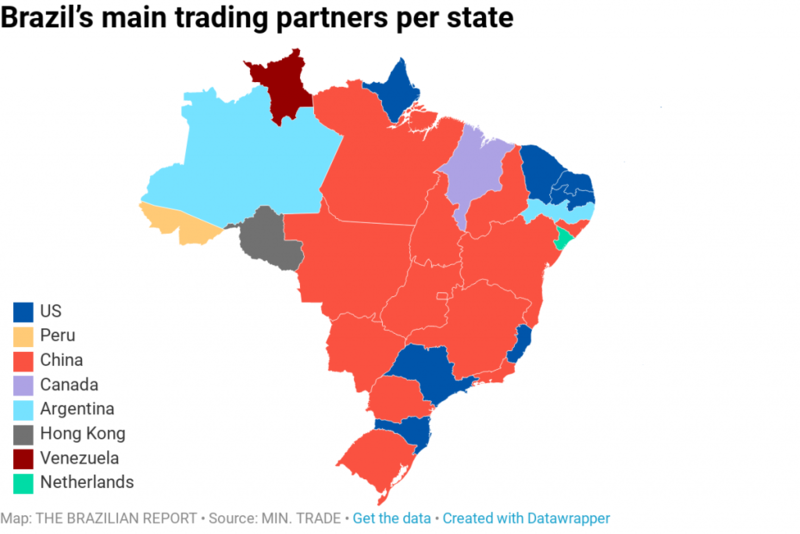 Appeasing the U.S., however, could entail reducing cooperation with China—Brazil’s biggest trade partner and Donald Trump’s adversary in an ongoing economic conflict. Upon landing in the U.S., Jair Bolsonaro gleefully tweeted that “for the first time in a long time, a Brazilian president who is not anti-American arrives in Washington.” While exaggerating the opprobrium of his predecessors toward the White House, there is a certain element of truth to what the president wrote: not since the military dictatorship has there been a Brazilian head of state so willing to promote full alignment with the U.S., for better or for worse. In an apparent bid to ingratiate himself to the U.S. president, Jair Bolsonaro preceded today’s meeting with Mr. Trump with the announcement of two significant measures which directly benefit the Americans and offer little to no counterweight for Brazil. A technology safeguards agreement (which has been in the making for decades) was signed between the two countries, allowing American technology to be used in rocket launches at Brazil’s Alcântara Launch Center. Mr. Bolsonaro also issued a decree to waive visa restrictions for citizens from the U.S., Australia, Canada, and Japan, without demanding any reciprocity from the beneficiary nations. 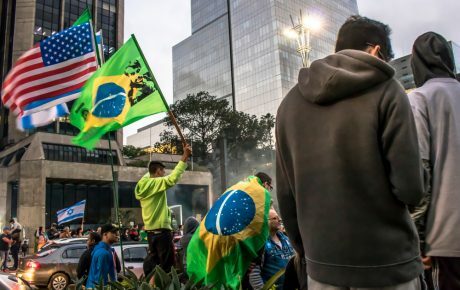 Mauricio Santoro, a political scientist and The Brazilian Report columnist, mused that the visa maneuver “places Brazil in a position of weakness before the U.S.,” which is undeniable, but also in keeping with the current government’s strategy toward Donald Trump’s U.S. 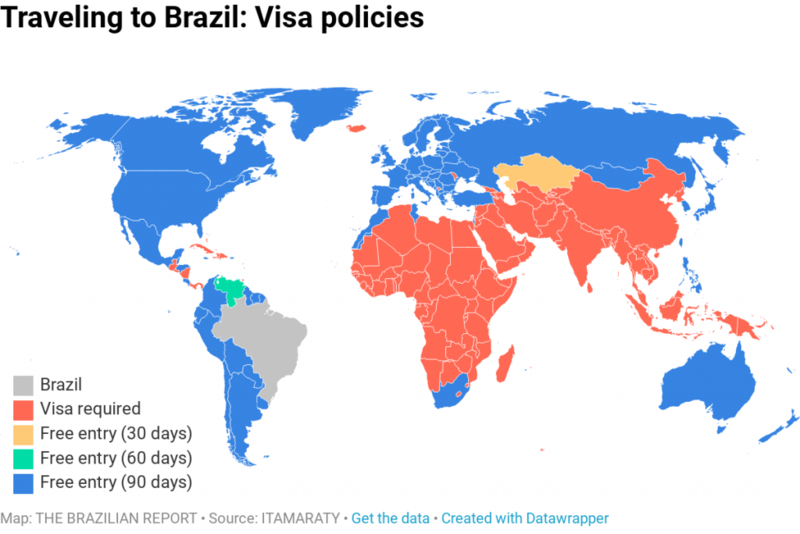 Meanwhile, the Trump administration has made visa rules for Brazilian tourists stricter. In an op-ed for CNN.com, Republican senator Marco Rubio touched on how the U.S. could make use of Brazil’s openness to their country, “in countering the malign intentions of China, Russia, and Iran.” The subtext here appears to be that Brazil could be utilized as a buffer in the United States’ ongoing trade war with Beijing. China is Brazil’s biggest trade partner, responsible for a total of USD 64.2 billion in exports last year and buying 50 percent of the country’s commodities. The U.S., in comparison, accounts for around half that level of trade. Speaking at an event in Washington, Brazil’s Minister of the Economy Paulo Guedes showed his willingness to alter that balance, conceding that the country has significant ties to China but has “neglected the U.S.” in recent years. One of the hot-button issues in this discussion concerns Brazil’s plan to hold auctions next year to sell off 5G technology frequencies. Currently, Chinese giant Huawei is the frontrunner, followed by Swedish company Ericsson and Finland’s Nokia. As part of the dispute between American producers and Huawei, Donald Trump has requested his allies ban Huawei 5G technology in their countries, a recommendation already adhered to by Australia and New Zealand. 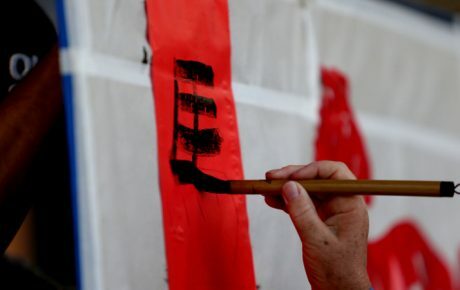 This creates a troubling Catch 22 for the Jair Bolsonaro government, as Brazil’s decision for or against banning Huawei will necessarily anger either the U.S. or China. There are fears among the Brazilian delegation that Donald Trump may tackle the subject during today’s meeting. “If Mr. Trump does bring up the issue of Huawei, Mr. Bolsonaro is likely to be receptive,” said Matias Spektor, head of the Center for International Relations at think tank Fundação Getúlio Vargas. “[Mr. Bolsonaro] has been deeply concerned about Chinese investment in Brazil’s key strategic sectors,” he added. On a broader scale, the move away from China and toward the U.S. is backed vehemently by only one of the rag-tag power centers that form Jair Bolsonaro’s administration. The anti-globalist ideologue wing—made up of Foreign Affairs minister Ernesto Araújo, the president’s son, Eduardo Bolsonaro, and led by conspiracy theorist and self-titled philosopher Olavo de Carvalho—is fiercely anti-China and pro-U.S. However, a less visible but arguably more influential branch of Jair Bolsonaro’s government has absolutely no reason to back cooling off relations with China. 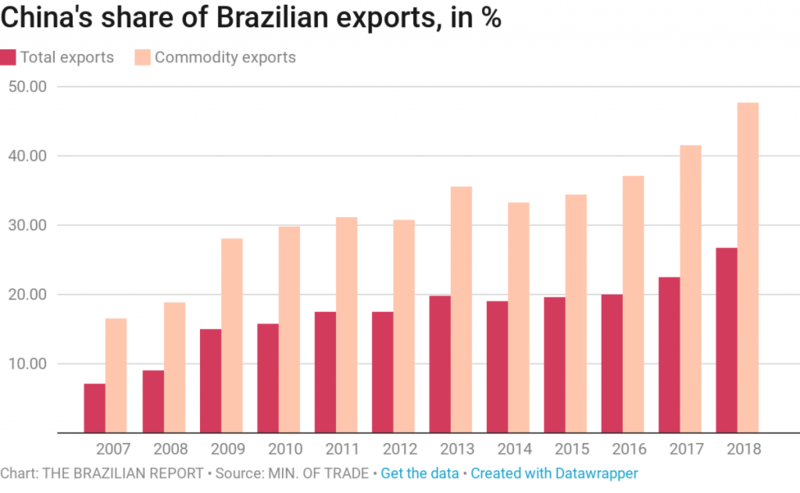 Brazilian Big Agro, arguably the most important industry in the country, played a significant part in electing Jair Bolsonaro and relies on trade from Beijing. 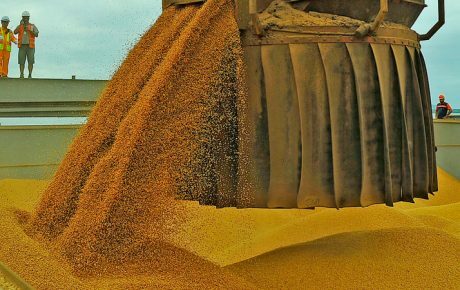 Currently, Brazilian agricultural producers sell 50 percent of their commodities to China, and they compete with their counterparts in the U.S. Agriculture Minister Tereza Cristina is set to visit Beijing in May in a bid to increase exports—a stark example of the war of ideas within the Jair Bolsonaro government. Going all in on U.S. relations holds another risk for Brazil. Donald Trump’s term comes to an end next year, and re-election is by no means guaranteed. A change in government in Washington would leave Jair Bolsonaro and his cronies with their trousers around their ankles, unlikely to find the same ideological sync with whoever the Democratic Party puts forward for the White House.